Width . . . . . 35'-0"
Depth . 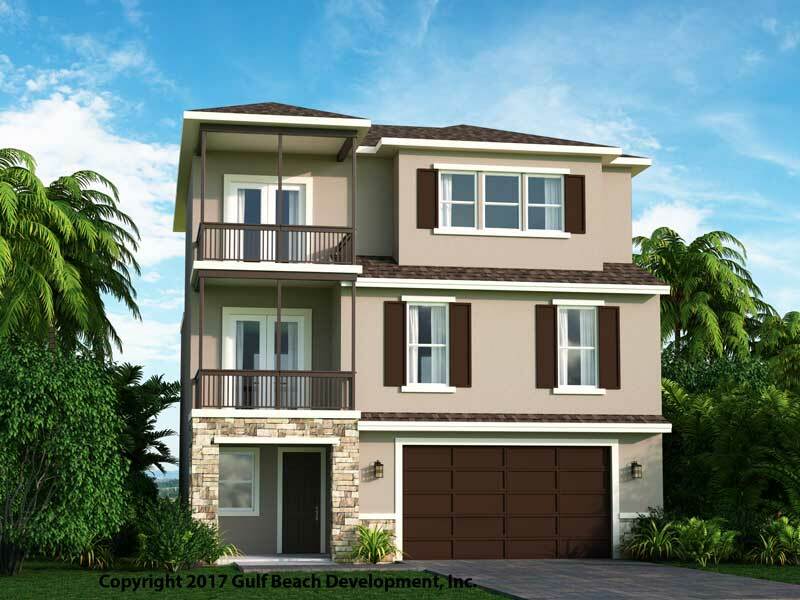 . . . . 42'-0"
Welcome to the Dolphin Bay coastal house plan. 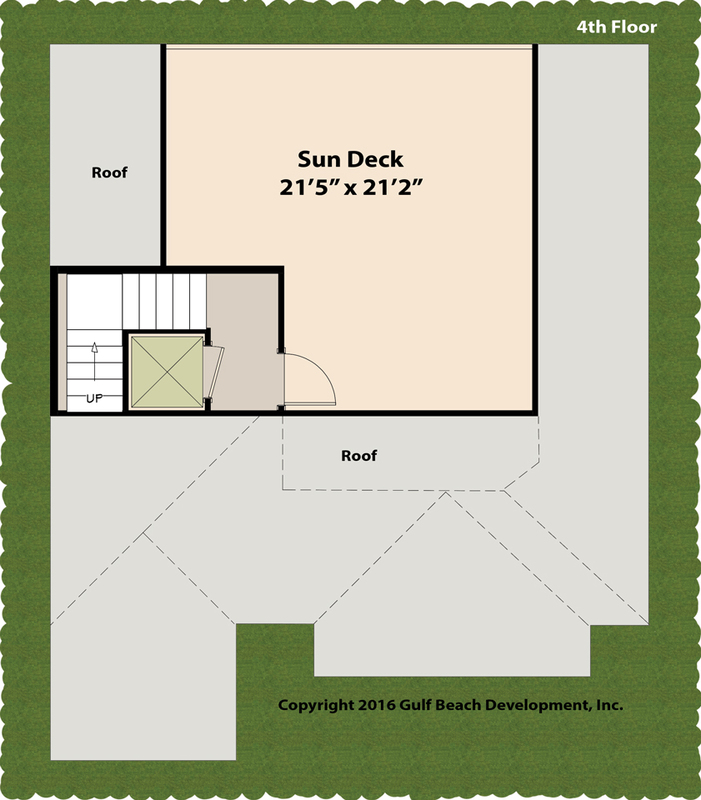 This plan is three floors with a fourth floor optional Sun Deck. 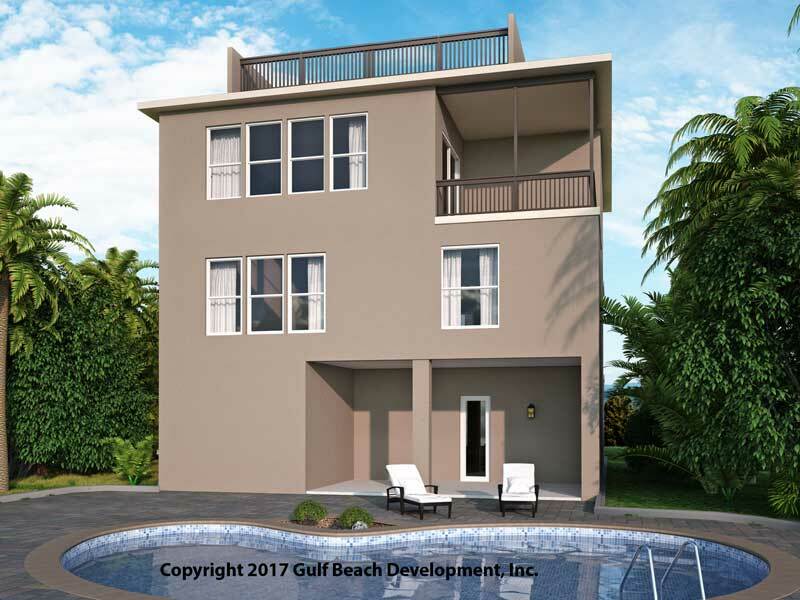 Designed to be built in Florida’s waterfront areas that are often required to be elevated. 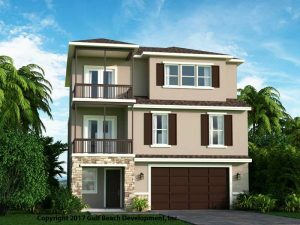 The first floor includes enclosed parking for three cars, an outdoor living area that is semi-private and the foyer entrance. The 2nd floor is actually the first floor just above the flood zone allowing for more normal finished features of a home. 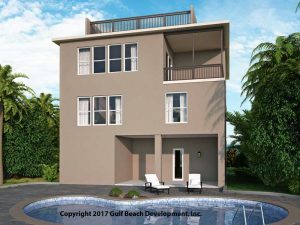 This second floor contains the three main bedrooms allowing better protection from a unexpected surprise storm during the middle of the night. 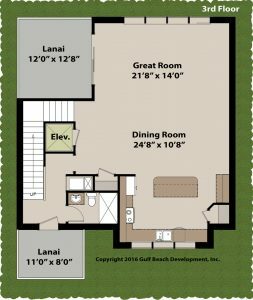 The third floor allows for the main everyday living and entertaining. 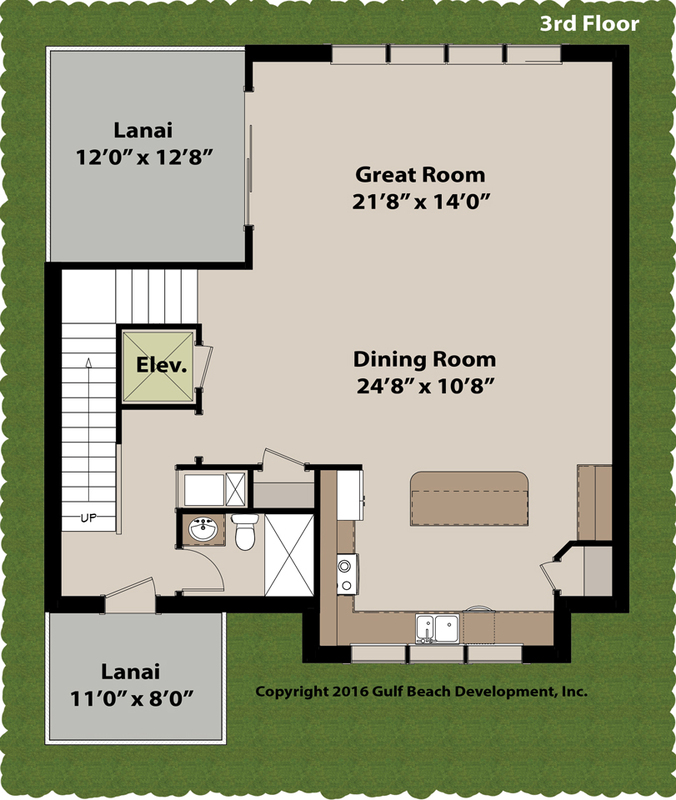 Unlike most plans the 3rd floor offers front and rear outside covered Lanais to enjoy your home area views. The Sun Deck on the fourth floor increases the area viewing point. 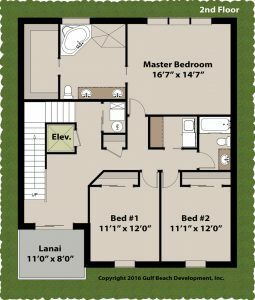 This sundeck includes the option to have a elevator that connects to all four levels. 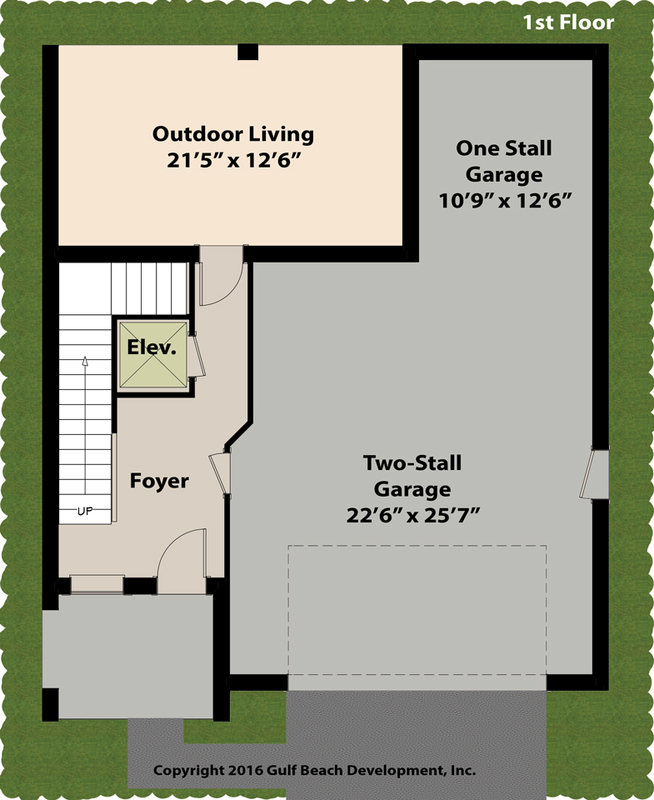 As a side note this single family house plan was original designed to be staggered alongside duplicate copies of the same plan forming a townhome. This coastal house plan can be built anywhere in the state of Florida by reaching out to any certified Gast Homes real estate agent. 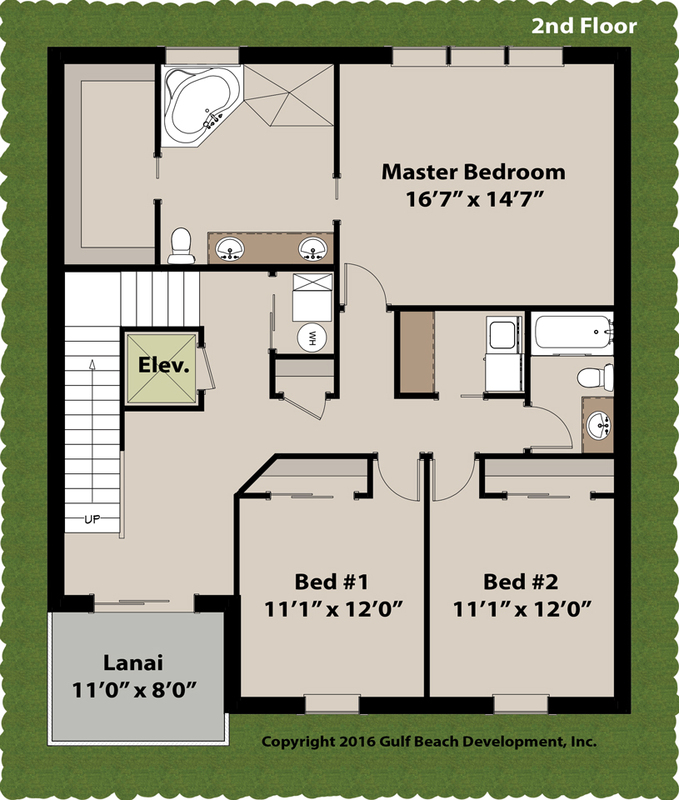 These homes are built exceeding the fortified homes Gold standard. One of the unmatched energy efficient and safety features we offer is the (ICF) insulated concrete forms for most of our exterior walls. The ICF walls are ten times stronger than wood walls and four times stronger than CMU concrete block walls. 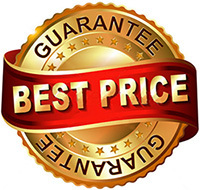 When you’re looking for the best home builder at affordable prices, look no further!